PUBG is probably the game-changing launch for gamers. Especially those who stream video games on social media like YouTube and Twitch. Both the platforms started receiving 10x traffic since gamers started streaming PUBG (Also known as Player Unknown Battleground). Most gamers have got a career opportunity due to the PUBG game. Even some low channels have taken full advantage of PUBG to grow their channel. For example Dynamo Gaming. This is a YouTube channel that run by an Indian boy whose name is Aditya. In one of his interview, Aditya state that “the reason for my Extreme channel growth is PUBG.” He Plays PUBG mobile on Tencent gaming buddy. So, basically, in this article, I will show you how you can play PUBG mobile on PC using Tencent Gaming Buddy. Also, I have some optimization tips for Tencent gaming buddy that will help you to improve the PUBG Mobile gaming. First, let me explain why Tencent gaming buddy Emulator is best for playing PUBG Mobile. Tencent Gaming Buddy is best for Playing PUBG mobile because it has made by the same company; Tencent. 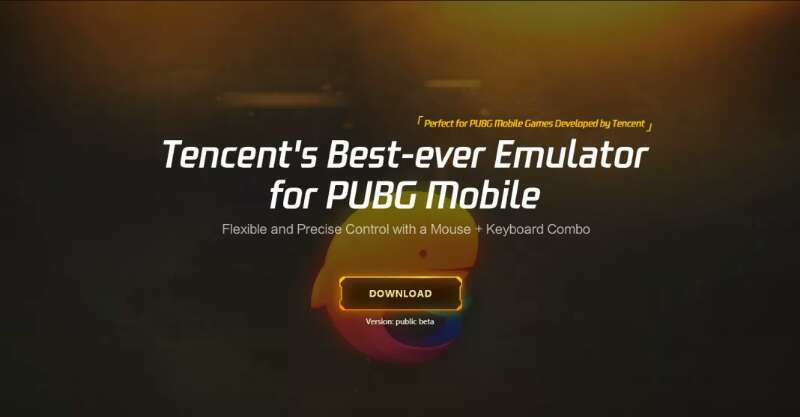 Means, PUBG and Tencent Gaming buddy are made by the same company, and that means they know the best customization for playing PUBG Mobile on PC. And It’s officially recommended to Play PUBG mobile on Tencent Gaming Buddy for best performance. Overall, its simple to understand that the company knows what is best for their product. Also, some gamers have tested all the emulators and found Tencent Gaming Buddy gives more frame rate than others like BlueStacks. Now, let me show you how you can download it on your Computer. Downloading Tencent gaming buddy is not that hard you think. You just have to go to its official site or PUBG site; there you will find the links to download. Let me actually show you the step-by-step process to download and install the Tencent Gaming Buddy. First, click here to visit the official Tencent gaming buddy site to download the installer. Just visit the provided link and click on the blue download button to save the Tencent gaming buddy installer. Once the installer downloaded, open it up and hit the installing button to complete install the Tencent Gaming buddy. To complete install the Tencent Gaming Buddy, you at least need 350Mb for downloading. Once you tap the install button, the original Tencent gaming buddy will automatically start downloading. When the download gets complete, the installation of the original Tencent gaming Buddy will automatically start happening. You just have to be Patience because it will take time approximately 15-20. It probably depends on your Internet and CPU Speed. When installation end, you will get the Tencent Gaming Button short on your desktop. So, that’s how you can download and install the Tencent Gaming buddy on your PC for free. Now, we have downloaded and installed the Tencent Gaming Buddy on PC. There is a Requirement for Tencent gaming Buddy that every PC owner should have in order to Run Tencent Gaming buddy properly. 👉 CPU: Dual-core from Intel or AMD at 1.8 GHz. 👉 GPU: NVIDIA GeForce 8600/9600GT, ATI/AMD Radeon HD2600/3600. It just the requirement for Tencent Gaming Buddy and to Play PUBG on it, you need more RAM, CPU, and Storage on your directory drive. If you don’t have this requirement then don’t be sad, I have some surprise, or you can say an alternative way that works great for Low-end PC. So, stay tuned for that and continue reading. Now, let me show you how you can download and install the PUBG mobile game on Tencent Gaming Buddy. 1. Firstly, open the Tencent Gaming Buddy that you just installed on your PC. You can start it by clicking on Tencent Gaming Buddy shortcut from Desktop (it get created when you install the emulator). 2. Once opened, go to my games tab and wait for a second to load the PUBG mobile install icon or thumbnail. When loaded, you will see the PUBG mobile gaming thumbnail and the install button. 3. Tap on the PUBG mobile Install button and wait for Downloading the game. It will squeeze the 1.5Gb of data from your Internet data balance. So, before clicking on the install button, make sure you have enough data balance on your WiFi or the Service you are using. 4. Once it downloaded, the installation will start happening automatically. You don’t have to do anything after tapping on the Install button. Wait again for 5-10 minutes to complete the installation process. So, that’s how you can normally download and install the PUBG mobile on Tencent gaming buddy. There are some important thing that I want you to know and knowing that will help you in downloading and installing the PUBG mobile on Tencent Gaming Buddy. Don’t get too excited and hit the download button of PUBG mobile after installing the Tencent Gaming Buddy. You will regret it if you don’t follow my tips from below. Have at least 2GB of data in your Internet balance. I still regret don’t having it when I was downloading and installing the PUBG mobile on Tencent Gaming Buddy. I have canceled two times the installation and lost 2.5Gb alone for installing it. And then again recharged my Internet Data balance with 4GB data booster and finally installed. So, make sure you have enough data balance once you are about to install PUBG mobile on the official emulator. Don’t pause the PUBG mobile downloading because it will get failed once you resume it. Yes, you heard right. I have tried it and lost my data as I said above. Don’t do multi-tasking when the process of PUBG mobile downloading is running. The downloading of PUBG mobile on the emulator will get stuck when it lacks RAM and Processes. All these tips are real because I have been tested in my way of Playing PUBG mobile on Tencent gaming buddy. So, make sure you follow them carefully to safely install and play PUBG mobile on Tencent Gaming Buddy. Now, let me show you how to play PUBG mobile on Tencent Gaming button. 1. First, close everything unnecessary running in your PC. For that look at the task manager and close unwanted services and apps. This is the manual way; you can also use Wise Game Booster as an alternative to boost unwanted services and apps. 2. Start the Tencent Gaming Buddy as an Administrative. In some computers, it automatically gets set to Administrator, you will see a shield icon on the shortcut. 3. Once Tencent gaming buddy opened, click on the three lines from the right top and select settings. 4. In settings, select engine and reduce the DPI to the lowest 160P and in Rendering set to OpenGL+ if you have any Graphics Card (dedicated or inbuilt) on your Computer. Save it. 5. Now, start the PUBG mobile and wait for it to first time load and extract the data. Once opened log in with your FB id and close everything its offering and tap on settings from the right bottom. 6. Select graphics settings and set Fram rate to extream and Graphics quality medium or low. You can also customize it to low if your PC is low-end. 7. Once set, save it and get back home. Select map, select solo or team and save it. Finally, hit the Start Match Button. 8. Follow these steps carefully to get started with PUBG mobile on Tencent gaming buddy. Now, if it’s lagging too much on your PC, then you can try Phoenix OS on your PC and test the PUBG mobile on it. Phoenix OS is the best OS for PC that is capable of running PUBG mobile on low-end PC without any lag. 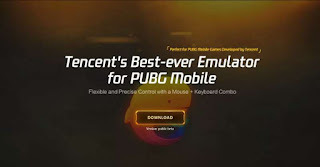 Tencent gaming buddy if officially recommend emulator for PC to play PUBG mobile game without the performance hit. But there are still some low-end PC’s that aren’t capable of running PUBG mobile on Tencent Gaming buddy. So, for those, I recommend installing Phoenix OS. 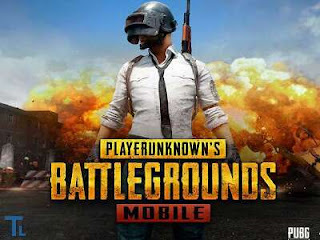 It is a type of lightweight OS based on Android, and after installing it on your PC, you can install PUBG mobile from its Play Store and enjoy the game without any lag.